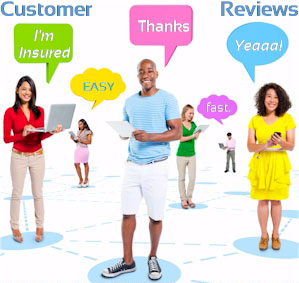 Short term is another type of insurance that is growing in popularity in the changing insurance landscape. Plans are offered in Arizona as they are in every other state, although coverage can vary widely from state to state depending on the rules. So when should you consider short term insurance? When you have a new job, but the group health insurance hasn’t kicked in yet (this can be as long as a six month waiting period). When long term Affordable Care Act (Obamacare) insurance isn’t available because you’re not in an open enrollment period, or you don’t qualify for a special enrollment period (SEP). (A special enrollment period consists of things like losing group insurance, moving out of your coverage area, adding or losing a dependent, getting a divorce, having the insurance cancel your coverage for other than non-payment, among other reasons. If you think you might be eligible for an SEP, please contact us). When the cost of an ACA plan is so high (particularly if you don’t qualify for a tax credit/subsidy) that the choice boils down to either getting short term coverage or going naked without any insurance at all. Like everything else, short term has its advantages and disadvantages. Subject to medical underwriting. Depending on your health history, you might get declined. Is only good for a specific period of time. Generally this is 90 days, and then you need to reapply. (One company, National General, has found a way to get around that, and you can roll over your current coverage at the end of 90 days to get a year’s worth of coverage. More on that later). Doesn’t cover preconditions. In fact, some preconditions can get you declined. More limited benefits compared to the ACA plans. It doesn’t cover things like maternity coverage and sometimes has a lesser drug benefit, such as a discount card. Is subject to the penalty, which has been cancelled by Congress but will still be in effect for 2019. Only covers specific period. When that period ends, you’ll have to submit another application, and there’s no guaranteed you’ll be approved if there’s changes in your health status. Currently short term coverage is good for a maximum of 90 days. At the end of 90 days, you’d have to apply again. This may change in 2019 under new rules being considered by the federal government. You could get short term coverage for up to a year if those rules go through. IHC (affiliated with Blue Cross Blue Shield of Arizona). There are some major differences among the three carriers. United Healthcare offers a large choice of plans with the deductibles that range from $1000 all the way up to up to $25,000. It also has plans with “lifetime payout maximums” for either $500,000 or $1 million (we recommend going with the $1 million payouts since there is very little difference in cost). The higher paying plans are designated with an A. National General has plans that are guaranteed issue. The guaranteed issue starts from the effective date and does not cover preconditions. If anything arises that is linked with a precondition, it will not cover that either. However, nothing in your history will prevent you from being covered, unlike the coverage other carriers; it just won’t be covered under the plan. Also, at the end of the three month period, the coverage rolls over and you don’t have to apply again. However, if there’s been any medical activity in the previous period, the deductibles and copays start all over again. Typically the National General premiums are higher compared to United Healthcare. IHC is partnered with Blue Cross Blue Shield and offer short term health plans in Arizona. Check out the comparison of short term health plans in Arizona here. Thanks! All short term plans are currently subject to the tax penalty in 2018 for plans that don’t meet the minimum benefits mandated by ACA. The tax penalty is currently $695 per individual or 2.5 percent of your income, whichever is greater. The good news is that Congress is doing away with the penalty beginning in 2019. The Affordable Care Act plans have certain mandated requirements that the short term plans, in Arizona and other states, don’t have to offer. Among the most significant of these is guaranteed issue. This is a lynchpin feature of the ACA. Anyone can get coverage through ACA no matter what their medical condition. With most short term plans, there is no such thing. When you apply, you have to go through medical underwriting, which means you have to answer questions about your medical history. Certain illnesses can keep you from getting underwritten. Other mandatory requirements that short term plans don’t have include maternity coverage; no cap on how much the plan will play over your lifetime; and a built-in prescription benefit in which drugs are categorized by tiers based on a formulary, among others. What short term plans have going for them is comparatively lower pricing; effective dates in a matter of days (with the ACA plans it can be weeks or even a month depending on when you apply); and the ease of application. 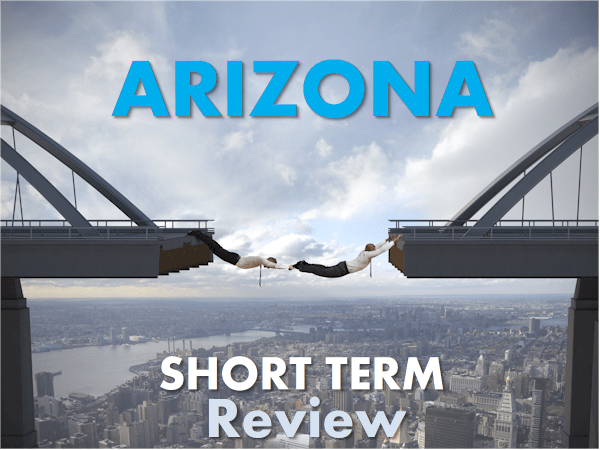 How Do I Apply for Arizona Short Term Coverage? If you have any difficulty, please contact us. We’ll be glad to help. Is Arizona Short Term Health Coverage Right For Me? You should generally think of short term coverage as bridge insurance, to get you from a point where you lost prior coverage (job change, for example) to the point where you will get permanent insurance. Your insurance of choice should be long term coverage, but if you’re outside of open enrollment, and don’t qualify for a special enrollment period, or if there’s absolutely no way that you can afford an ACA plan and would have to go without insurance altogether, then short term is the way to go. That is a decision only you can make, but we’ll be glad to give you whatever input we can. Short term is not for everybody, but it may fill a specific need you have—for the short term. You can run your Arizona Short Term Health Quote here to view rates and plans side by side from the major carriers...Free.